Kalio Daging Sapi is one of dishes from Padang, West Sumatra. It’s similar with Rendang, only some spices are different. 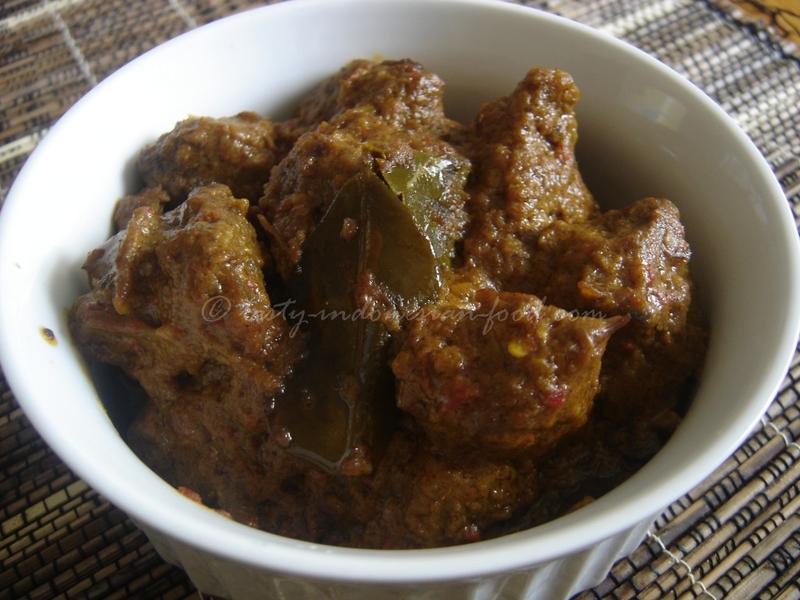 As for the taste, it’s delicious as Rendang and you can make it either with beef or beef liver. 1. Prepare the spice paste by grinding or blending all ingredients except lemon grass and line leaves. 3. Add the beef and sauté for 2 minutes, and then add the coconut milk and salt. Simmer uncovered until the meat is tender and the sauce has thickened.